SugarSync. Unlike most other cloud services, SugarSync lets you back up and sync entire file folders. But also unlike others, there’s no free option. You can elect the 100GB plan for $7.49 a month or 1TB for $9.98 a month. You can generate private or public links to share your files, and remotely wipe items if one of your devices is lost or stolen. Data is stored using 256-bit encryption. SugarSync has a built in music player to stream your music files to your iPhone, iPad, or iPod Touch. “Streaming” means the music buffers and plays as the file downloads, so you don’t have to wait for the download to finish before listening or watching your files. While your music or video plays in the background, you can use other apps on your device. 1. From the main SugarSync screen, tap , and then navigate to the folder that contains the song or video you want to play. 2. Tap to open the song or video file to play it. SugarSync opens the built in music player and begins buffering the file to play as it downloads. When the selected file completes, the music player will continue to the next file in the folder. Note: Only file types supported by Apple will play. The SugarSync Music Player cannot play DRM-protected music files. When you stream music or videos, each file is downloaded and cached for a period of time (for how long depends on the available memory on your phone). As long as the files are “cached,” meaning temporarily saved, you can stream them again without network charges. Eventually the cache will be deleted. The songs and videos will be downloaded again the next time you play to them. If you are trying to keep your network charges low, you can sync the files to your device instead. When you sync the files to your device, they are downloaded only once. After the files are synced, they are always available so you can play them anytime, even when you are offline. How to delete files stored in iCloud? How to transfer/upload movies to iCloud on Mac? How to Upload Christmas Videos from iPhone to iCloud? How to Upload GoPro Hero 4 4K Video to DropBox? The action camera market is expanding at blinding speed, and the best known name in this sector is GoPro. GoPro’s new Hero 4 black edition camera has the sharpest footage and is the most user-friendly version. When you got some 4K clips from GoPro, maybe you are seeking for the way to upload GoPro Hero 4K video to DropBox for enjoyment. DropBox is a mobile document and media storage tool that allows you to sync you files online for backup. Anything like movies and music you save to your computer can be saved to your DropBox. As we all know, currently, most 4K videos are recorded in MXF/RAW/XAVC/XAVC-S format, while none of them is supported by DropBox. So if you have some nice GoPro Hero 4K videos and want to add to DropBox for streaming and playback on iPhone, iPod, Galaxy Tab, Kindle Fire HD and more media devices, you’d better convert GoPro Hero 4 4K video to other format like MP4, MOV or other format compatible with DropBox. To get that done, GoPro Hero 4K video to DropBox Converter is essential. Here Pavtube Video Converter Ultimate （ Mac） is recommended to you which can quickly convert any GoPro Hero 4 4K Video to DropBox supported videos on your computer. If you are a Mac user, please turn to Mac. Thanks to the built-in video editor, you can trim, crop and retouch your videos in clicks. Overall, no matter what versions, this program is a completely professional converter, editor and player. How to Convert GoPro Hero 4 4K Video to DropBox for uploading? Launch the 4K to DropBox Converter; click “Add Video” button to import GoPro Hero 4 4K videos into the program. Loaded videos can be previewed in the right preview window. Click the drop down box of “Format”, through which it is possible to select Dropbox highly compatible format like MP4, MOV from “Common Video” profile list. For those who wanna upload 4K video files to Dropbox and share on tablet or phones, you can choose a certain preset like iPad as target format. Tip: If you need, you can also click “Settings” to modify parameters of your output profile to meet your professional needs: bit rate, frame rate, aspect ratio, etc. The final step is to tap “Start conversion” button and commence converting GoPro Hero 4 4K Video videos to Dropbox. After the conversion,you can click on “Open” button to locate the ripped videos. How to uploaded converted GoPro Hero 4 4K video to Dropbox? 1. Sign in to the Dropbox website. 3. A window will appear. Click the Choose File button and then select the file on your computer that you’d like to add to your Dropbox. 4. Choose as many files as you like, and then click the Start Upload button. 5. The window will disappear, your files will start uploading, and you’ll be shown a progress indicator. That’s it, you’ve added files to your Dropbox! How to Put DVD to Google Drive/Dropbox/iCloud? Apple iCloud can store calendar, contacts, music, photos etc. from iDevices wirelessly and you can download them to any iDevice you have without any limitation. This service has brought Apple users much convenience. However, movies in AVI format are not on the list. From iTunes, iPod and other Apple software and devices, we can see that Apple is affectionate to MP4 but AVI. And it’s evident that iCloud will not support AVI format now and later as Apple is affectionate to MP4 but AVI. It’s evident that iCloud will not support AVI format now and later. In order to upload AVI to iCloud smoothly, what you need to do is to encode AVI to iCloud supported videos on computer. UsingPavtube Video Converter Ultimate （ Mac） to help you. It can convert AVI videos to iCloud supported MP4 videos on Windows (Windows 10 included). Besides, this powerful AVI to iCloud converter also can convert DVD, Blu-ray, MKV, and various videos to the suitable format for iCloud. Read review. How to Convert AVI Movies to iCloud with iFastime Video Converter Ultimate? Step 1. Click “Add video” button to choose AVI movies to the best AVI to iCloud converter. Step 2. Set right output format. Click “Format” bar, and select .mp4 from “Common video” or “HD video” to fit iCloud. Step 3. Click the “Start conversion” button on the main interface and the software will start to convert AVI to MP4. When the conversion finishes, click “Open” to find the converted video files. It is so easy to put AVI movies to iCloud, have a try! All of the data and files associated with the selected app will be removed from iCloud, freeing up storage space. This change will remove the files across all devices linked to the iCloud account, and once deleted the process cannot be undone. iCloud Drive files that are deleted in this manner will be removed across all devices set up to use the same iCloud account. Files can be recovered at iCloud.com within 30 days before they are permanently deleted. On devices with iCloud Photo Library enabled, photos can take up a significant amount of storage. Under Settings -> Photos & Camera, check to see if My Photo Stream and iCloud Photo Library are enabled. If so, deleting pictures and videos from albums in the Photos app can free up space on iCloud. Remember to delete all photos in the Recently Deleted album to immediately free up space. Just like other file types, photos that are removed from iCloud will disappear on all linked devices and computers. If you have any troubles in transfering video to iCloud, you can seek help from Pavtube Video Converter Ultimate （ Mac） As the best iCloud video converter, iFastime has the ability to help you convert video (DVD, Blu-ray, H.265, AVI, MKV) to iCloud supported .mp4 videos for smooth playback on some portable devices like iPhone, iPad, iPod, Samsung Galaxy Tab S2, HTC, etc. Related Topics: best Digital Formats for Storing movies | upload Christmas Videos from iPhone to iCloud | add MKV files to iCloud | Blu-ray to iCloud for storage. Let’s face it, iTunes is a pain but, many of us are stuck with it. Especially those of us who have been using iPods, iPhones and iPads for years and years. Short of throwing away all the money spent on downloads over the years away, there is little you can do about it. Yet, there are tools, like Wondershare TunesGo or Wondershare TunesGo (Mac), as a perfect iTunes companion for iOS and Android that help alleviate some of the pains of using iTunes and also help to add new features and completely enhance the experience. Smart iTunes companion plug-in. It breaks the rules of iTunes, does what iTunes can’t do. You can easily backup import, export, as well as restore files according to your necessity. It contains a very safe method to restore files from the iOS devices, and this becomes particularly helpful if you do not have any iTunes backup. Compatibility to copy between various Apple operating system powered devices. The media which is imported through the software is optimized to be used by the Apple operating system. It can easily export entertainment files, as well as any other content from the iOS devices to any place within the Mac or Windows computer. The exorbitant cost of Wondershare TunesGo when compared to the free iTunes does eat at the back of the head of consumers. The Smart playlists cannot be edited, and other formats for playlists cannot be imported into the Apple operating system. If you are planning to buy this superb iTunes Companion, Tunesgo at a discounted price, click “Buy Now” (the discount link) and try our Tunesgo Christmas 50% OFF Special Deal now. NO need to copy and paste the coupon code. TunesGo is available for both PC and Mac, for $29.97 at the Christmas holiday season. The mac lifetime version is even cheaper than the 1Year version during the Christmas sale! There is also a free version to try out first, which I highly recommend doing. So, what are you waiting for? This amazing opportunity will only last to Dec, 30th, 2015! Go ahead! Or find more 2015 Christmas Special Offer at Pavtube! Wondershare Dr.Fone for iOS: Safely, completely and effectively restore text messages, photos, videos, documents, and more from your iOS device, iTunes or iCloud backup. Wondershare Dr.Fone for Android: A quick way to recover your lost or deleted data from Android . Wondershare MobileTrans: One-click phone transfer tool to let you transfer data between Android, iOS, and Symbian devices. iFastime Video Converter Ultimate: Make all your Blu-ray, DVD collections and movie library compatible with iPhone. Wanna more coupon? Please feel free to contact us>> or leave a message at Facebook. Don’t Have iTunes? Still can Recover iPhone Data! If you are a Apple lover, you must know Apple has released iCloud service which is convenient and helpful to Apple device including iPad/iPhone/iPod users. For movie fans, it is an interesting experience when syncing favorite movies between iDevices freely through iCloud. Then you wonder how to realize that goal, we have to tell you, you need to convert video to iCloud compatible format and then upload them onto iCloud. 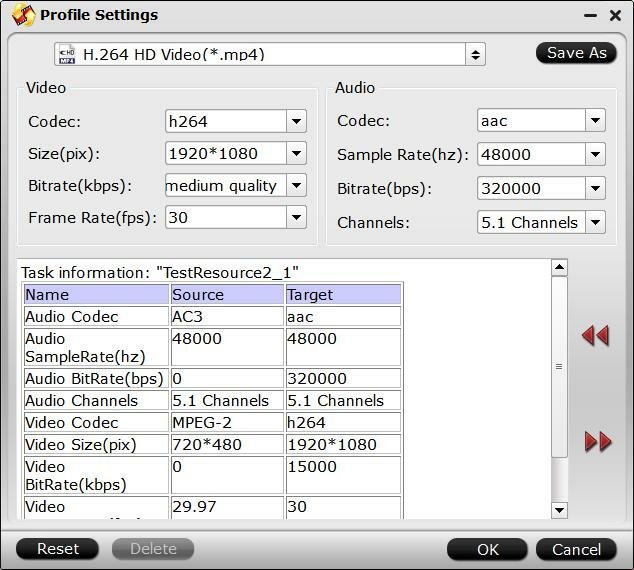 MKV, a flexible and open standard HD video format, is widely used by HD movie spread on the Internet because of its smaller file size and HD capacity. So it is awesome to add MKV videos to iCloud for Mac users and then share them between iDevices freely through iCloud. If you have many MKV videos, you need to convert MKV videos to iCloud first. Pavtube Video Converter Ultimate （ Mac） is an awesome tool to help you convert and transfer MKV videos to iCloud for playing on iPad/iPhone/iPod. With powerful functions and user-friendly interface, you can finish the goal in a quick way. How to Convert MKV to iCloud for playing on iPad/iPhone/iPod? Step 1. 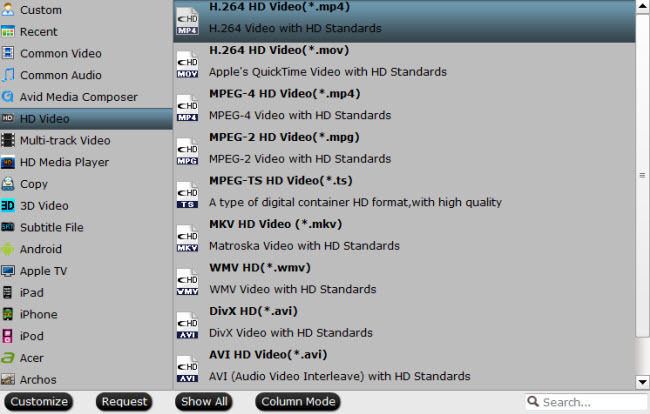 Click “Add video” button to choose video files from your hard drive for converting. Or directly drag the movies you want to convert to the left item bar. Step 2. Set right output format. Click “Format” bar, and select .mp4 from “Common video” or “HD video” to suit iCloud. Step 3. Click the “Start conversion” button on the main interface and the software will start to convert MKV to iCloud friendly video formats immediately. When the conversion finishes, click “Open” to find the converted video files. Then you can effortless transfer the video files to iCloud for playback on iPad/iPhone/iPod. iCloud connects you and your Apple devices in amazing ways. It makes sure you always have the latest versions of your important information—like documents, photos, notes, and contacts—on whatever device you’re using. It lets you easily share photos, calendars, locations, and more with friends and family. It even helps you find your device if you lose it. So if you want to transfer movies to iCloud on computer, you might wanna use iCloud to do the work. But iCloud does not support all videos formats, for some Incompatible with iCloud movies, you need to convert them to iCloud supported movies. 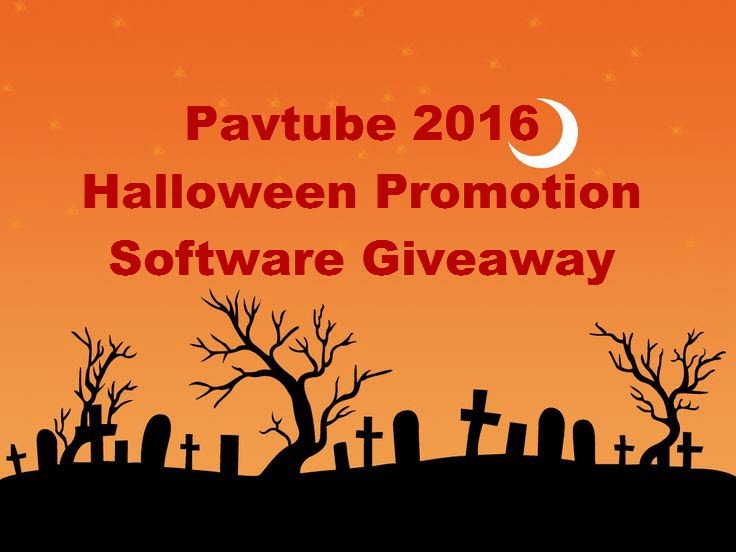 To do this task, just let Pavtube Video Converter Ultimate （ Mac） help you. This is a professional video converter, which can convert any movies like DVD, Blu-ray, H.265, etc to iCloud more friendly .mp4 videos on Mac or Windows. The entire conversion is safe, clean, and quick. Recently we have a Christmas special offer, you can read to get the nice Christmas gift. Next i will show you how to transfer/upload movies to iCloud on Mac with the excellentg iFastime Video Converter Ultimate for Mac. Step 1. Click “Add video” button to choose video files from your hard drive for converting. Or directly drag the movies you want to convert to the left item bar. If yours are DVD/Blu-ray movies, just insert the DVD disc into your computer’s DVD drive and run DVD Ripper for Google Pixel C. You can click the “Load file(s)” button to load the Christmas DVD files to the program. The default settings may not satisfy you, and you can click the “Settings” button to change the settings by yourself including video resolution, bit rate, audio sample rate, audio channel etc. for full screen playback smoothly. Or keep no changes, which is also a good choice. Step 3. Click the “Start conversion” button on the main interface and the software will start to convert movies to iCloud supported video formats immediately. When the conversion finishes, click “Open” to find the converted video files. Then you can effortless transfer the video files to iCloud without any probelms. Press the home button for a few seconds to open your iPhone. Tap Settings from the iPhone’s Homescreen and press Network in the Settings screen. Then tap the WiFi button and slide the slider to “on”. To connect to a public network, just tap the network name and you will complete connecting iPhone to Wi-Fi. Enter your Apple ID and password to log in the iCloud. If you don’t have an account, then create one. In iPhone, go to Settings. And select “iCloud” item. In the Storage&Backup window that appears, turn on the ‘Back Up to iCloud’ iCon. Then click “Backup Up Now” to sync videos from iPhone to iCloud. It is so easy to upload Christmas videos from iPhone to iCloud. With iCloud, we don’t need to download videos from iPhone or iPad/iPod to computer if we want to share movies between iDevices. It makes sharing become easier. Tips 1: How to Transfer iPhone 6s/6s Plus videos to iCloud? The iPhone 6S and 6S Plus are both capable of recording 4K high-definition video, though you wouldn’t know it just by launching the camera app. By default, the iOS camera app on the new devices is set to record video at 1080p at 60 frames per second. Should you own a 4K-equipped TV, making it possible to full appreciate the video you capture with your new iPhone, or simply want to future-proof your videos, you’ll need to enable 4K by following the steps below. 2. Tap on Photos & Camera. 3. Under the Camera section, tap on Record Video. 4. Tap on 4K at 30 fps. 4K video eats up nearly double, at 375MB of storage for every minute you record. It’s apparent, 4K video and 16GB iPhones are not going to get along at all. So if you want to save the 4K videos to iCloud, you can compress the 4K videos with one professional 4K video converter. Pavtube Video Converter Ultimate （ Mac） is your smart choice. One reason is it can quickly compress Christmas iPhone 6s/6s Plus 4K videos to iCloud supported genally 1080p videos for smooth uploading. Other reason is the 4K compresser is also a universal 4K video covnerter which has the ability to convert any 4K video to any devices like iPad mini 4, Galaxy Tab S2, Glaxy Note 5, NLEs, TVs, Projectors, and more for playing, editing, or other usages. As popular iCloud storages, Dropbox,Google Drive, Sky Drive are becoimg more and more welcomed by people who wolud like to use them to host on various files like video, music, images, etc. If you have recorded some Christmas recordings by the camera and want to store them to the Dropbox,Google Drive, Sky Drive, etc without any problems, just follow me to learn the helpful guides. Sometimes your Christmas camera recordings formats may be unsupported by Dropbox,Google Drive, Sky Drive. Because Dropbox,Google Drive, Sky Drive supported videos are limitted, generally .mp4 is the most friendly video format for them. So if you can’t store Christmas camera recordings onto Dropbox, Google Drive, Sky Drive, just use the professional video converter – Pavtube Video Converter Ultimate （ Mac）. It can quickly convert Christmas camera recordings onto Dropbox,Google Drive, Sky Drive supported videos on Windows for perfect storages. What’s more, this powerfuo video converter also can convert any Christmas movies even Christmas DVD/Blu-ray movies to Dropbox,Google Drive, Sky Drive and other cloud storages for storing and other usages. OK, now firstly free download the easy-to-use tool. How to Convert Christmas camera recordings onto Dropbox, Google Drive, Sky Drive? Step 1. Click “Add video” button to choose Christmas camera recordings for converting. Or directly drag the movies you want to convert to the left item bar. Step 2. Set right output format. Click “Format” bar, and select .mp4 from “Common video” or “HD video” to suit Dropbox, Google Drive, Sky Drive. Step 3. Click the “Start conversion” button on the main interface and the software will start to convert Christmas camera recordings to Dropbox, Google Drive, Sky Drive friendly video formats immediately. When the conversion finishes, click “Open” to find the converted video files. Then you can effortless transfer the video files to Dropbox, Google Drive, Sky Drive. Have more questions about how to store Christmas camera recordings onto Dropbox,Google Drive, Sky Drive, please feel free to contact us>> or leave a message at Facebook. Christmas is one of the most important and biggest festivals when people hold events to celebrate them. Christmas sale will show up in every supermarket and shop. To celebrate it and thank customers, iFastime Studio, a brand-new provider of media conversion software, this year provides 20% OFF on its excellent movie conversion software-iFastime Video Converter Ultimate at Facebook. The offers are valid until 31 January, 2016.
iFastime Video Converter Ultimate is an easy to use video converter that is quick to process multimedia files between various formats. It is fully compatible with Windows 10 and supports conversion of video to different formats like MOV, M4V, H. 265 MKV, H. 265 MP4, Apple Prores, M3U8, WMV, MKV, AVI, XviD, MPEG, FLV, MP3, FLAC, etc. Besides this, device specific video conversion too is supported (like video formats compatible with Apple, Samsung mobile devices / tablets). What’s more, it can backup and rip Blu-ray & DVD videos to mobile devices for watching on the go easily. Editing videos with video trimming/cropping/adding special effects/ inserting subtitles is supported. Download and install it from here. The installation is straight forward, just a few clicks and it is complete. Once installed, upon launching, the main interface is simplistic and fairly intuitive. What a special season! Merry Christmas with our deep sincerity. The Christmas campaign will run from the 7th of December 2016 until the 31st of January 2016. Founded in 2015, iFastime creates expert multimedia software applications that help consumers access, transfer and share their digital content across different devices that range from PC, Mac, tablets, smartphones to HD media players, game consoles and home theatre systems. On the basis of computer OS, iFastime products are divided into two categories – Windows solutions and Mac solutions, spanning across video converting, editing and enhancing. With creativity, expert knowledge as well as cutting-edge technology, iFastime helps consumers throughout the world enjoy more in a digitally connected audio-visual world.